Through our Materials Recovery Facility, we recover glass and then process it through a glass crushing plant to produce a glass sand. Some of this glass sand is sent to Blakebrook Quarry where it is mixed with other materials and turned into road base. Other glass sand is used in drainage works and pipe bedding, and is a cost effective, sustainable alternative to metal dust and sand. Conventional glass recycling is costly and requires expensive technology to separate different coloured glass for re-processing, with a high loss rate due to breakage. Currently, there is little industry support for conventional glass recycling, which has only ever allowed for the recycling of glass jars and bottles. Through crushing glass back into sand, we can repurpose not only glass bottles and jars, but also plate glass, drinking ware, crockery and pyrex. This means we are capturing more glass for recycling and less is going to landfill. As well as ensuring more glass can be recycled, transforming glass back into sand reduces the need to mine virgin material for road base and asphalt, decreasing road resealing costs and limiting truck movements on the road. Making road base and fill material from recycled products, rather than mining virgin materials, uses considerably less energy and water, and creates less air pollution. The first road containing glass sand was constructed in June 2015 at Numulgi and we now use glass sand in much of our road base. We are even winning awards for the use of glass sand, with Council and our contractors, Diona and Calibre Consulting, awarded the Civil Contractors Federation NSW Earth Award in June 2017. This recognised excellence in civil construction for the Caniaba Street Sewage Pump Station and particularly the use of recycled glass in its construction. 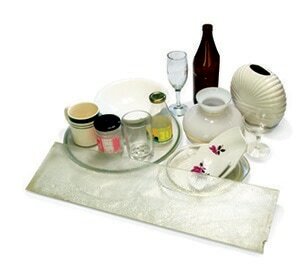 Remember to place all your old glass, crockery, pyrex, plate glass, drinking glasses etc in your yellow recycling bin. The only type of glass not suitable for recycling is windscreen glass. We are currently calling for expressions of interest from stallholders and businesses to be part of the new Lismore Recycled Markets at the Lismore Revolve Shop. The Lismore Recycled Markets are designed to promote the reuse of waste items, upcycling and community arts, to reduce waste going to landfill and promote sustainability. 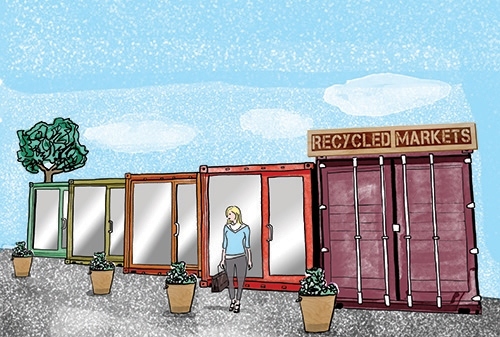 The market will operate out of six purpose-built shipping containers that have power, fans and an insulated roof. Stallholders can set up market goods within the container and also at the front of the container in an allocated space. The Lismore Recycled Markets will be held each Saturday from 9am to 1pm, and stallholders and businesses can also apply to have a space on other days on a permanent basis. Saturday has become a big day at the Lismore Revolve Shop with over 200 vehicles entering the site to dispose of waste materials and we decided a recycled market would be a great addition and provide a fantastic opportunity for recycled artists and craftspeople to sell their wares. We are always looking to improve, value-add and create new events and facilities at the Lismore Recycling & Recovery Centre. Our aim is to create the best recycling and sustainability complex of its kind in Australia. A place Lismore can be proud of and a place where other councils look to see an example of best-practice in sustainability and recycling. It is part of Council’s broader vision to make Lismore a model of sustainability. Council is now calling for expressions of interest from individuals or businesses that sell recycled or reused products and would like to be part of the new Lismore Recycled Markets. Please complete the Expression of Interest below, which also contains details for stallholders on how the markets will operate. Please send your completed EOI to council@lismore.nsw.gov.au. For more information phone us on 1300 87 83 87. We offer all residents the option to have a large 360-litre recycling bin (50 per cent larger than the current recycling bin) to help increase the amount of material recycled and decrease the amount placed in your waste bins. Kerbside waste and recycling audits have shown that when a recycling bin is filled at a household the overflow recyclable material is disposed of in the waste bin instead of being recycled. Our Materials Recovery Facility (MRF) allows us to recycle almost all of our waste, so it makes sense that you may need a larger recycling bin to cope with the volume. Residents have to pay a one-off $53 swap fee for the 360-litre bin. Phone us on 1300 87 83 87 or visit Council's Corporate Centre at 43 Oliver Avenue, Goonellabah, to arrange this service and pay your fee. No additional waste collection fees apply. 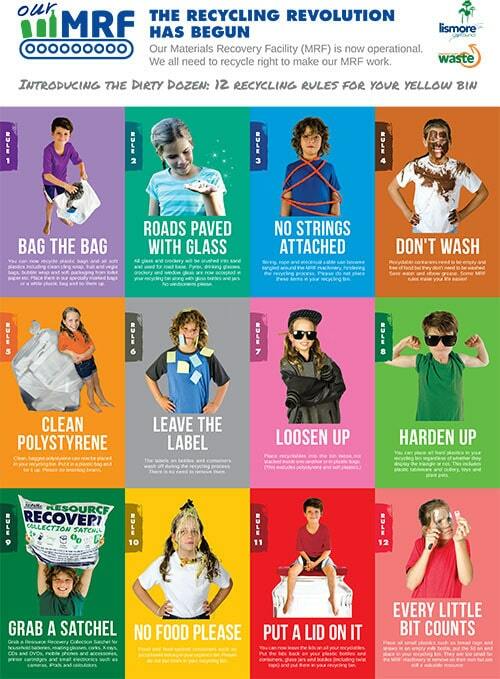 To coincide with establishment of our Materials Recovery Facility (MRF) we developed a colourful education campaign to teach people how to recycle right at home. We called this The Dirty Dozen – 12 Recycling Rules for your Yellow Bin. The Dirty Dozen aims to explain some of the new recycling programs that came into effect when the MRF was constructed and debunk any myths about what you can and cannot recycle. We often get asked questions like “Do I leave the lids on my jars?” or “Do I need to wash my takeaway containers?” The Dirty Dozen is designed to give you an easy visual guide to answer these tricky recycling questions. We encourage everyone to learn these rules and help us keep our recycling stream free of waste. Many of the rules actually make life easier, and you'll find that you can now recycle many household products that would have previously gone in your waste bin and then into landfill. Changing your recycling habits is easy... take some time to learn the rules and before you know it they will be second nature. 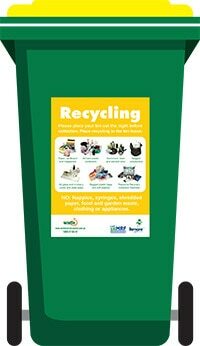 You can download a poster of The Dirty Dozen – 12 Recycling Rules for your Yellow Bin or for even more detailed information on all our recycling activities, read our comprehensive booklet The Recycling Revolution: A Guide to Recycling Right. Want a one-stop-shop on all of our recycling programs and initiatives? Want to refresh your memory on The Dirty Dozen – 12 Recycling Rules for your Yellow Bin? Need to know what you can and cannot put into each of your wheelie bins? The Recycling Revolution: A Guide to Recycling Right is a comprehensive guide on all our waste and recycling programs and services, education programs, retail outlets, and much more. You can also read The Recycling Revolution in PDF format. Sometimes it can be tricky to know what goes in the red, yellow and green bins. Well now there is a quick guide so you can see what goes where! 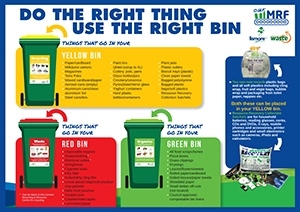 You can print this out and place the 3 Bin Guide on your fridge or have it handy somewhere in your kitchen for when you have an item that you're unsure about. At the Lismore Recycling & Recovery Centre we are closing the loop on our organics recycling, turning the region's food and garden scraps into a nutrient-rich compost for local farms and backyard gardens. Once the contents from kerbside organics bins are brought to our facility, the material is stockpiled into rows on the composting pad. Food and garden waste is shredded and then processed on an Aero-sorb system, which pushes air through the material, speeding up the composting process and keeping it in an aerobic state. Heat and micor-organisms assist in the composting and killing off any pathogens and weed seeds. The composted material is then graded and screened to remove plastics and other inorganic materials, and is tested for quality assurance before being released for sale. Our compost can be purchased via the weighbridge at the Lismore Recycling & Recovery Centre from 7am to 3.45pm Monday to Friday, and from 9am-1pm Saturdays. Bulk prices are available and delivery can be arranged. For more information phone 1300 87 83 87.